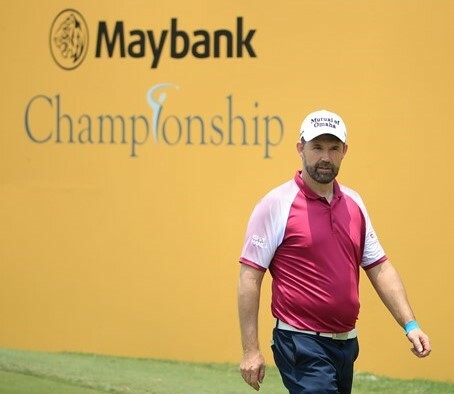 Padraig Harrington, and not for a first time in his long and very distinguished career, tees-up in Kuala Lumpur for a tenth time in his career with the uncertainty his injured wrist is not fully healed ahead of this week’s co-sanctioned Maybank Championship. Harrington had been due to commence his 14th season in the pro ranks earlier this year in the Middle East while the injury, suffered mid-December when he slipped down the staircase in his house, also ruled him out of three PGA Tour events. It wasn’t till he underwent an x-ray that revealed he had broken a bone in his wrist. The triple Major winner’s injury was no more evident when Harrington attended a press conference on 8th January to be officially confirmed as 2020 European Ryder Cup captain but with his wrist heavily strapped. “I wouldn’t say the wrist is 100 per cent, it might not be 100 per cent for about nine months, or at least another six or seven months. I’m working away at it,” he said ahead of the Malaysian event. Harrington is the lone Irishman in the co-sanctioned European and Asian Tour field. And the now 47-year old Harrington is no stranger competing in steamy KL having contested the then named Malaysian Open nine times in his career from a first appearance in finishing T4th in 1999 to his last showing in finishing T6th in 2013. In the 2000 Malaysian Open at Templer Park Harrington finished bogey, bogey to let slip victory and share second place. A year later at Saujana, Harrington lost out in a three-hole play-off in rather bizarre circumstances to then Masters champion, Vijay Singh of Fiji. Harrington had birdied the 69th and 70th holes to move into the lead at 15-under par and one clear of Singh in the group ahead but then unbeknown to Harrington and with no leader boards on the course, Singh doubled the 17th. Reports at the time said Harrington was ‘in between clubs’ standing over his second down 17 only to send his approach through the green and take bogey but still be one clear of Singh but Harrington was not aware of that. “Had I been aware of the situation on 17 I would have been less aggressive,” said Harrington. But up front, Singh birdied the par-5 18th hole that Harrington failed to match and sent the event into a play-off. The duo was still even after replaying the 18th twice before heading to the 17th and with Singh making no mistake is posting a victory birdie and with Harington walking off with a bogey for a second time over that final day. Harrington thinks the firmness of the greens this week at Saujana Golf and Country Club will provide a tough test for the field this week. “It’s a very good set up this year,” he added. “The changes to the greens have substantially changed the way the course will play. They also have nice run offs – every green has this five or six yards of fairway run-off where you run on into a little collar of rough – very, very awkward. “The greens are firm. It looks difficult to me, you can never quite tell. It looks like the changes are excellent, a really, really good challenge. “It’s actually not tricky as a golf course, the firm greens are what will make it difficult this week. Some people might call firm greens tricky, but at the end of the day quality golf shots are going to have to be hit into the greens. You’ll have to be on the fairway hitting those shots.